There are several bird-related events going on in the next few weeks throughout the United States. Anyone interesting in buying a new bird or picking up some discount supplies should certainly take a look. This Exotic Bird Fair will give visitors the opportunity of purchasing birds directly from their breeders. In addition to exotic birds, there will be cages, supplements, special feeds, toys and other things for sale. This fair will occur on Saturday from 9:00 AM-5:00 PM, and on Sunday from 10:00 AM-4:00 PM. The GOCBS will throw its Bird Fair from 10:00 AM-5:00 PM. Admission will be $2, or free for under 12. 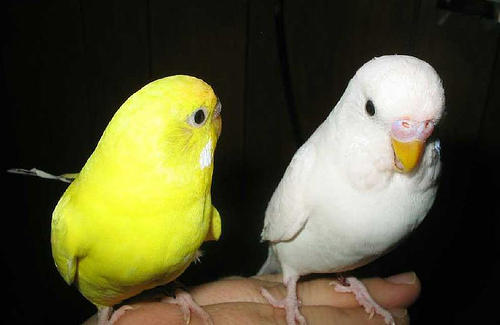 This fair’s vendors will sell birds like finches, canaries and cockatoos, along with supplies like beds, toys and seed. The West Florida Bird Mart will go on from 9:00 AM-4:00 PM, and will cost $4 for anyone over the age of 12. There will be assorted exotic birds, cages, treats, toys, food and other bird-related products on display and sale. This Bird Expo will be presented by Congo Express, and will take place from 9:00 AM-4:00 PM. The vendors at this expo will be selling many types of birds, along with useful products for all of the different species. Admission is $4, or free for those under 12. The Exotic Bird Fair Expo will cost $3 per person, but children under 12 can get in for free. It will go on from 10:00 AM-4:00 PM, and vendors will be selling a wide variety of exotic bird species, along with products like toys, cages, bird tents and more. The GCCBC’s Annual Show will take place from 10:00 AM-5:00 PM, and the gate entry fee will be $3. People will have access to the different birds and bird supplies at this event. The CCBC Bird Show and Mart will happen from 10:00 AM-5:00 PM. This show will have a $6 admittance fee. A bunch of different exotic bird breeders will be present to display their fine animals, and attendees will also have the opportunity to purchase discount food, toys, T-shirts, breeding supplies, artwork, benches and more. There will also be a raffle at this mart. I’m interested in going to an annual bird club show in my area, but can you tell me when and what day if any shows are being planned in my location.